Thank you for taking the time to come out and repair our garage floor. I know that your firm doesn't guarantee the concrete work so it is especially considerate of you to repair the cracks in our floor. 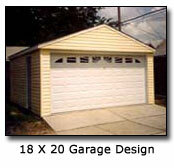 In my line of work, I've found that right after a good, quality product, service is what people really tend to want,. Most people with whom I've come in contact understand that not everything goes as planned, but if a company takes care of them, they will recommend that company to their friends and neighbors. There is no substitute for quality, but the next best thing is for a company to stand behind their products and treat their costumers to the best of their ability. Generally speaking, hearsay of word-of-mouth can't be quantified, but we all know how damaging it can be if it is negative. That being said, I appreciate being taken car of after what was indeed an unusual winter. 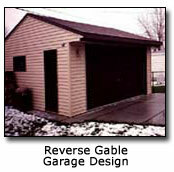 Again, thank you for repairing our garage. I would like to thank all those involved in the completion of this major project. Which started in November? Beginning with the architect and the salesman, who were there to see that we were building a home that everyone would be proud of. When they took over our house it was about to cave in. It was tough going having to work all winter and finish a job another unlicensed contractor had begun, and for uncontrollable reasons could not complete. The basement floor had been removed and the structure of our house was in jeopardy. 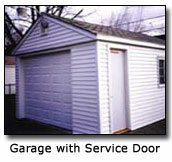 The owners of Miller Garages were very professional in explaining what was going to take place to make it all work, and to pass all housing codes. 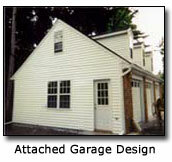 The Miller Garage Company worked with us and accommodated us to make our house beautiful. We have been asked if this is a Brand New House!!! 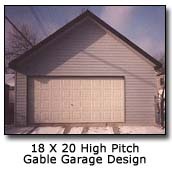 It was a few years earlier that we had a two car garage built by Miller Garages Co. and they had done a wonderful job on our property. So we hoped they would help us out in our time of need. Thank god they did. They were very prompt on site, they kept the area clean, and there was little disruption to our neighbors. I would highly recommend Miller Garages to anyone who needs home improvement. Again my wife and I would like to thank all of you guys & gals for making this house beautiful. 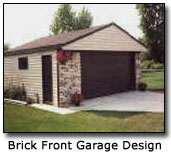 I thought it necessary to write a letter so that you would know my deep satisfaction with the garage you built for me. I have been extremely happy with the whole process from the planning right through the clean-up and wanted to make sure that you were aware of this. Your cement contractors started this project and set the tone for the whole job. 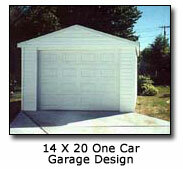 Their work was efficient, thorough and exceptionally clean. The builders were so good I never even got a chance to see them since all of their work was performed while I was at work myself. The siding crew was so quiet that I was able to get in my sleep prior to starting my shift. I would especially like to thank Dave Calcaterra who graciously went through the whole project with me from the initial quote until calling for the clean-up crew. It is this type of service and customer consideration that allows a company to excel in the future and I wish you nothing but the best. You really have a great company! It was a pleasure doing business with you. Please feel free to give my name and number to anyone as a reference. Again - thanks for the great job! for all your home renovation needs.